Yarnstorming on the first day of summer! Today is the first day of summer in Iceland. According to the old calendar we used in Iceland before we took up the Gregorian calendar the first day of summer is the first day of the month Harpa. It’s a public holiday and always on a Thursday someday between 19th. and 25th. of April. Today I decided to celebrate summer my own way. Took my yarnstorming bag, the camera and the driver/photographer/husband and went for a drive. The weather was gorgeous so we drove to Grótta. 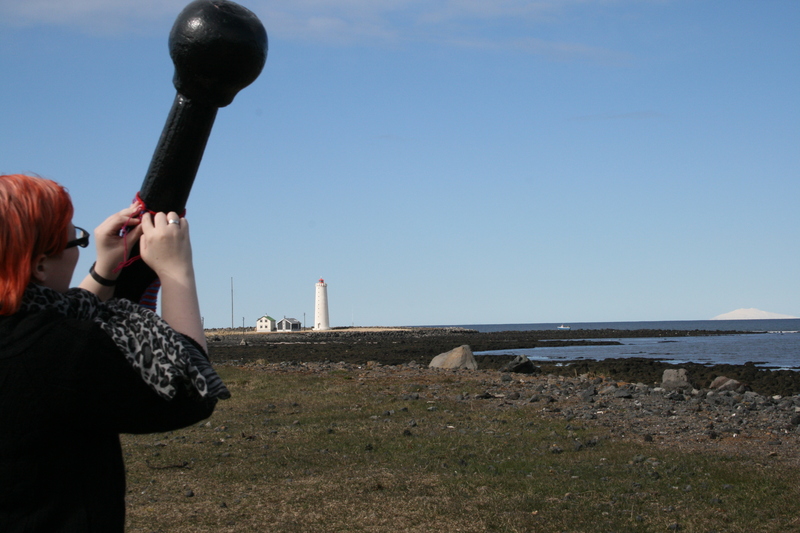 Grótta has a cute lighthouse and the view over Snæfellsjökull glacier and Snæfellsnes peninsula was just magnificent. Snæfellsjökull is a volcano covered by a glacier. It’s the actual place where they entered the ground in Jules Verne’s story, A Journey to the Center of the Earth. As soon as I saw a huge anchor I knew this was it. 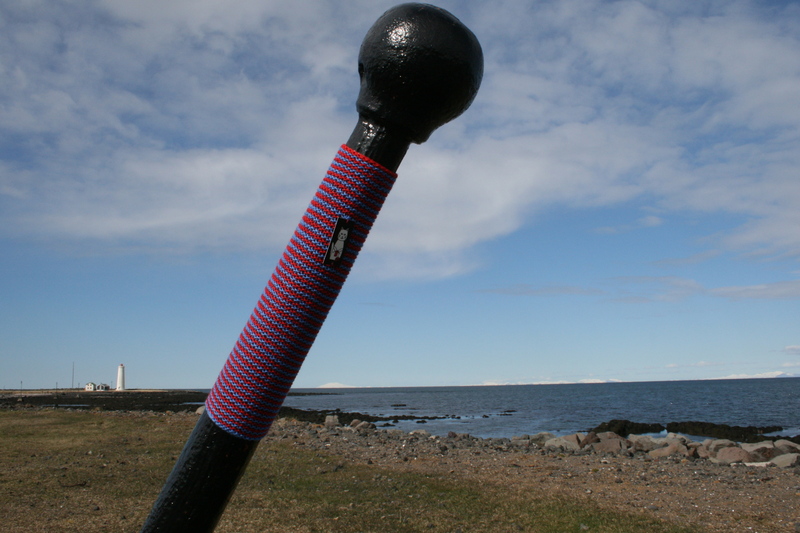 I’m not sure if I’ve ever yarnstormed with such magnificent background! Grótta lighthouse and Snæfellsjökull glacier. 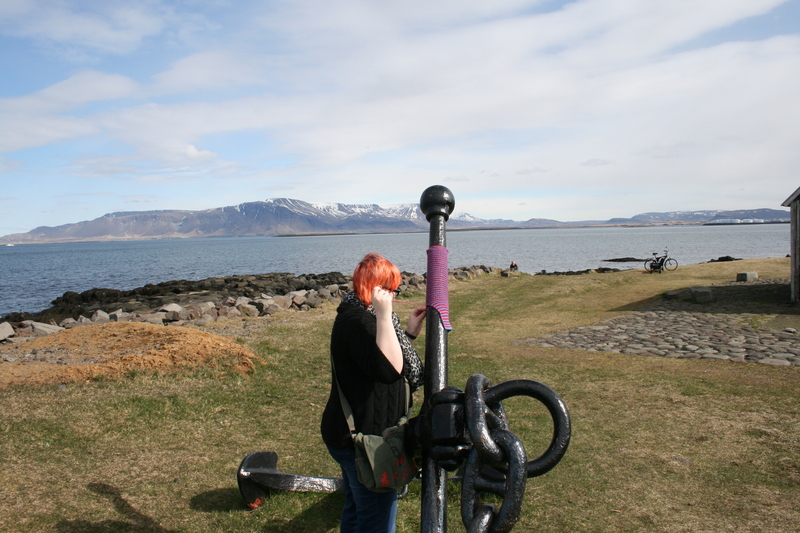 Mount Esja is also pretty good in the background. And notice the biker resting by the shore. I didn’t see him until halfway into the stitching. 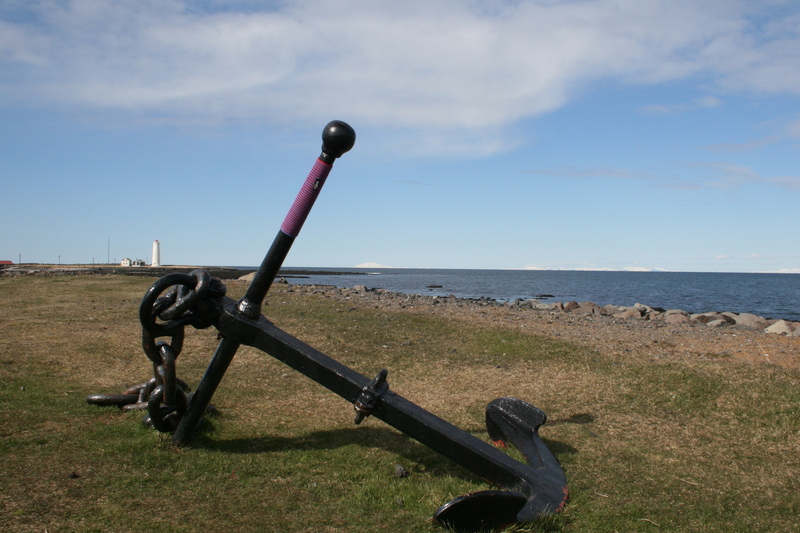 Grótta Lighthouse, a yarnstormed anchor and Snæfellsjökull glacier. 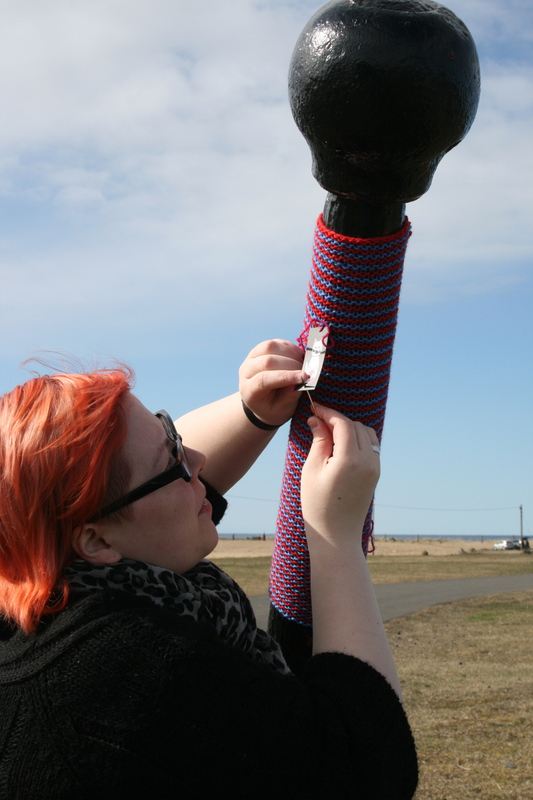 Posted in yarn graffiti and tagged reykjavik, yarn graffiti, yarnstorm. Bookmark the permalink.